Easily manage your supply chain from within your MIS. Managing your supply chain is key to keeping your production workflow on track. Our purchasing module allows you to easily manage your purchases from within your MIS, putting you in control of the production and purchasing cycle and helping to reduce administration. The purchasing module works with the inventory module to automatically check inventory levels for shortfalls and initiate purchase orders. 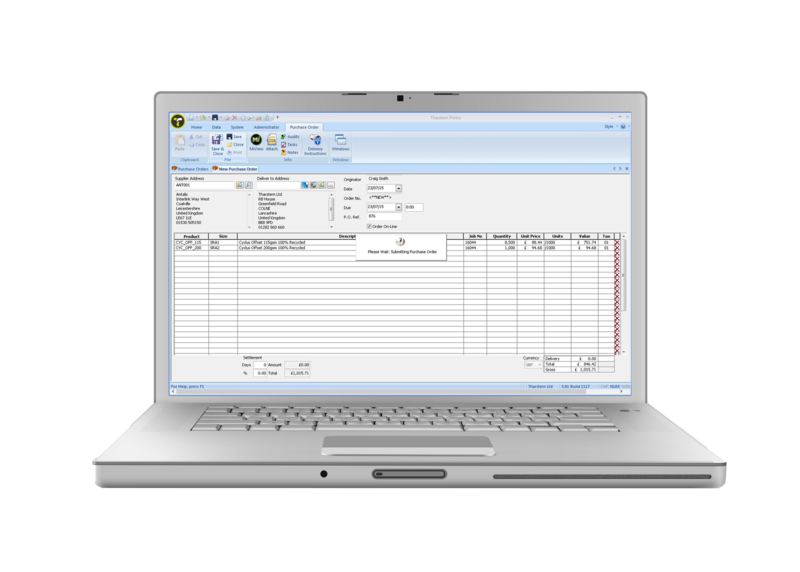 As jobs are created, the purchasing module automatically creates requisitions for materials and outsourced items required for that job. These can be consolidated onto single orders to take advantage of bulk buying pricing. Assign spend limits to users against different types of purchased goods and services. When users reach their spending limits, future purchase orders are stopped until authorised. Ensure your material prices are up to date by automatically highlighting and updating prices when processing supplier invoices.